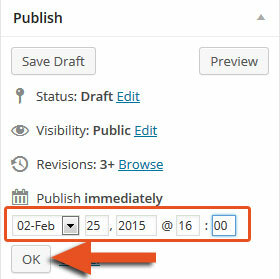 Did you know that you can schedule your posts in WordPress so they can automatically be published at a certain time and date? I bet some of you didn’t know that, especially beginners. 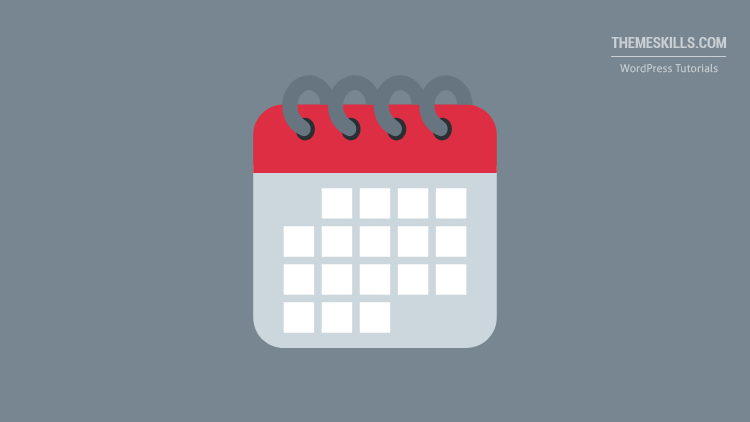 Therefore, in this post, I’m going to show you how to schedule posts in WordPress! It’s dead easy! Click here if you want to jump to the video tutorial. Some webmasters receive a lot of blog posts, and in order not to worry about the publishing part, they just review them and then schedule them. When I wrote this article about WooCommerce and Google Analytics for WPkube, the webmaster kindly announced me when my post was scheduled to be published. Usually, every blog reaches its traffic peak around a certain time, so that’s when you’ll want to publish your awesome article. But what if you live in Europe, for example, and your audience is in the U.S? 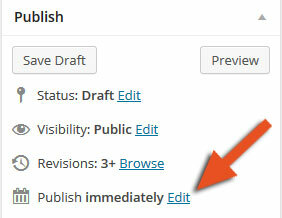 I suppose you don’t want to wake up at 5 A.M. to publish your post, right? Therefore, you’ll have to schedule it. Maybe you want to take some well-deserved time off, but you still want to have articles posted on your blog. So, what you could do is to write several articles in advance and schedule them to get published while you’re gone. That way, your audience won’t miss you and you can enjoy your time off! Told you it was easy! Now that you know how to schedule posts in WordPress, I’m sure that this useful feature will come in handy many times and it will make your life easier! Hope you enjoyed the post and found it useful! If you have anything to say or ask, please feel free to leave a comment! I'm the founder and one-man army behind all of this. Even though ThemeSkills was founded in 2014, I've been working with WordPress and SEO since 2011. I also know a bit of Photoshop and a bit more CSS and HTML. I also own WebStoked.com and Radu.link. Awesome! I'm glad it helped! I use MailChimp as my emailing service. By subscribing, you understand that your email and preferences will be transferred to MailChimp. Learn more about MailChimp's privacy practices here.